The name's Sonic and speed is my middle name! Sonic The Hedgehog @Sonic1991 posted on @Sonic1991's wall. Sonic The Hedgehog @Sonic1991 commented on this drawing. Sonic The Hedgehog @Sonic1991 replied to this post. Sonic The Hedgehog @Sonic1991 liked @Sonic1991's drawing. 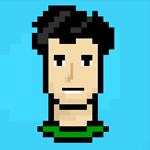 Thanks for supporting me on my twitter, tumblr and youtube account! Sonic The Hedgehog commented on this drawing. Sonic The Hedgehog commented on this post. Proving SC and Sara wrong. "Also, I gained 56% more speed, and also the ability to fly thanks to his "Red" Bull Tails gave me. "That was energy!!" 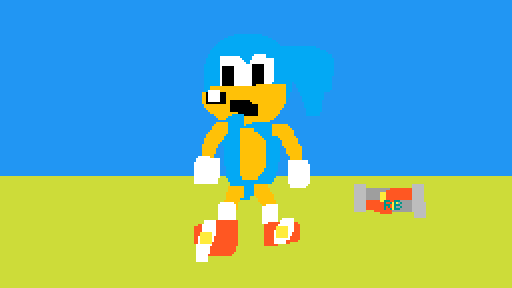 - Sanic Teh Hedeguho -20018. Oop, it was my fault to make bad english. It was the red bull that did it, not me. Anyways, we have a rematch on Christmas Eve... (I don't know if I can reach you, but yeah)"
"I WILL NOT BE BEATEN"
"Also, I can't be beaten again. That was a practice race"